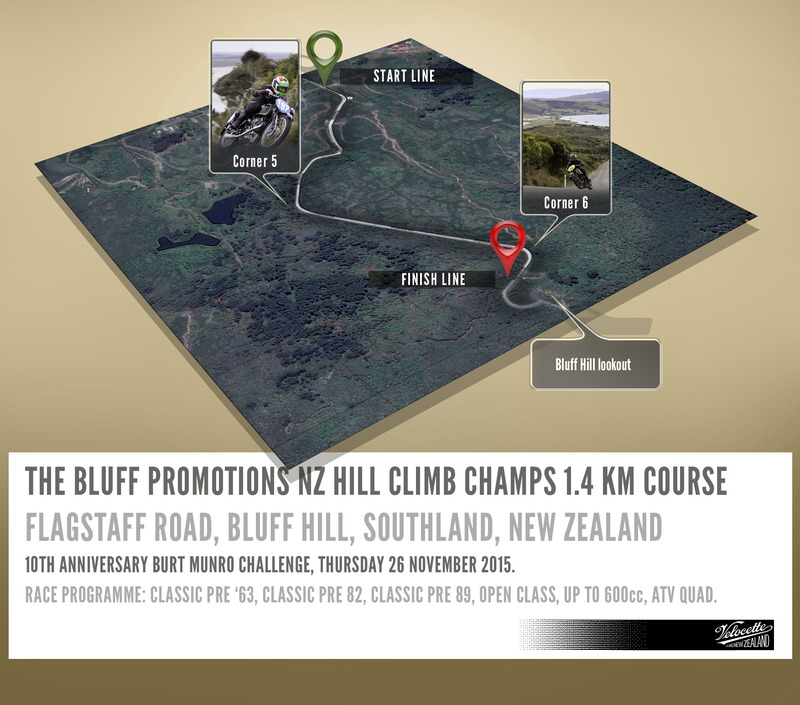 The bikes that made their way to the track up Bluff Hill in the Pre ‘82 class at the 2015 Bluff Promotions NZ Hill Climb Champs were a diverse range of machines, from hot street bikes to high performance sidecars, while the intrepid riders hailed from Invercargill to Waihi, Timaru, Greymouth, Geraldine, Richmond and Pahiatua to participate in this thrilling event that kicked off the 2015 Burt Munro Challenge. The Post Classic Pre ‘82 class are motorcycles built or manufactured between 1st November 1972 and 31st December 1982. This gallery contains start-to-finish sequences of shots of all the riders in Post Classic Pre ’82 Class from three vantage points, ascending Flagstaff Road, Bluff Hill.